Q: We want to build an interconnected production schedule between more than one factory. How do we go about doing that? Here, the main plant attempts to schedule production at one of the overseas plants, but there is an overload and the main plant again makes adjustments. 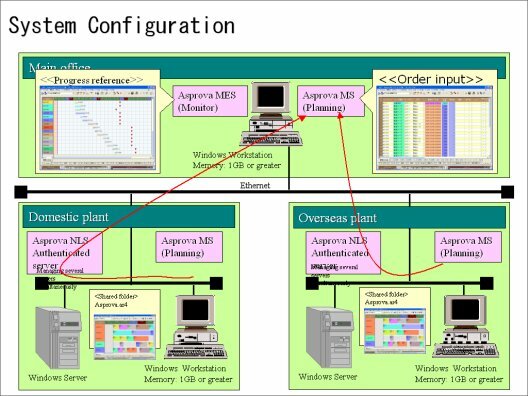 Shown below is an example of the system configuration. Below is an example of allocation with the use of SAP. 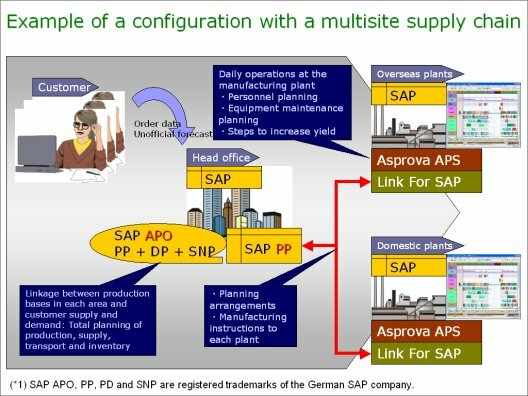 SAP plans the entire supply chain and prepares manufacturing orders for each plant. 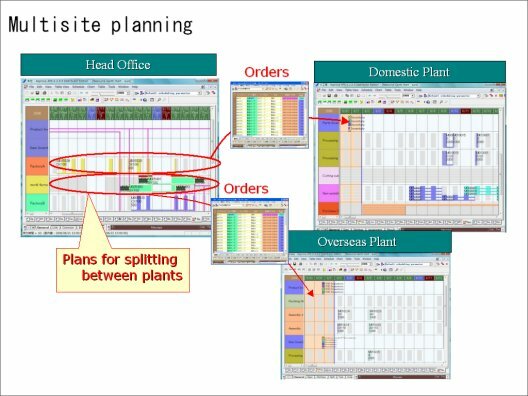 Each plant is preparing a production schedule with the Advanced Planning and Scheduling System.